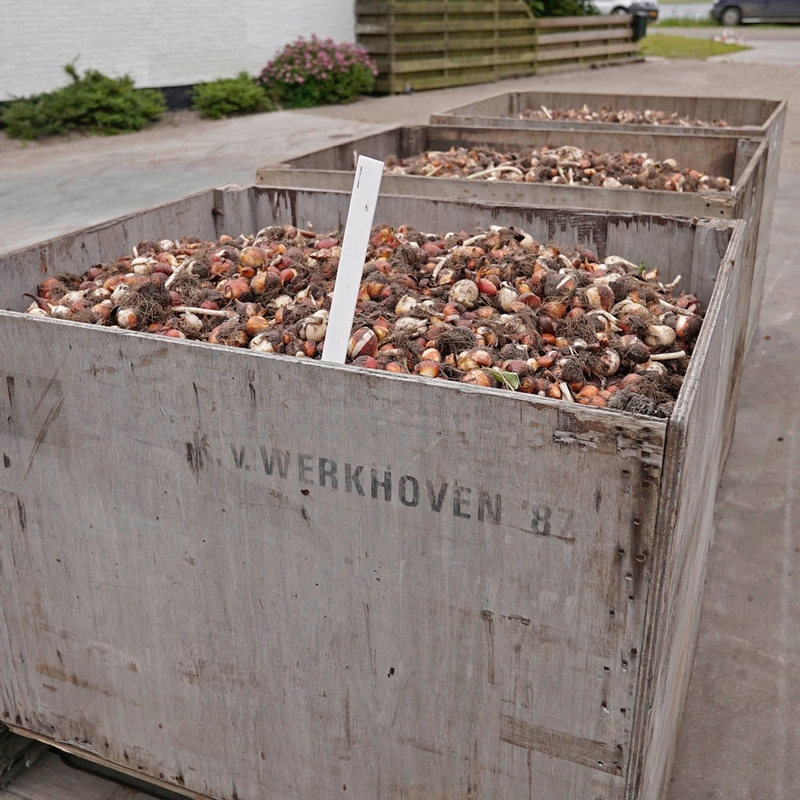 The first tulip bulbs are rolling into the boxes behind the harvesters. 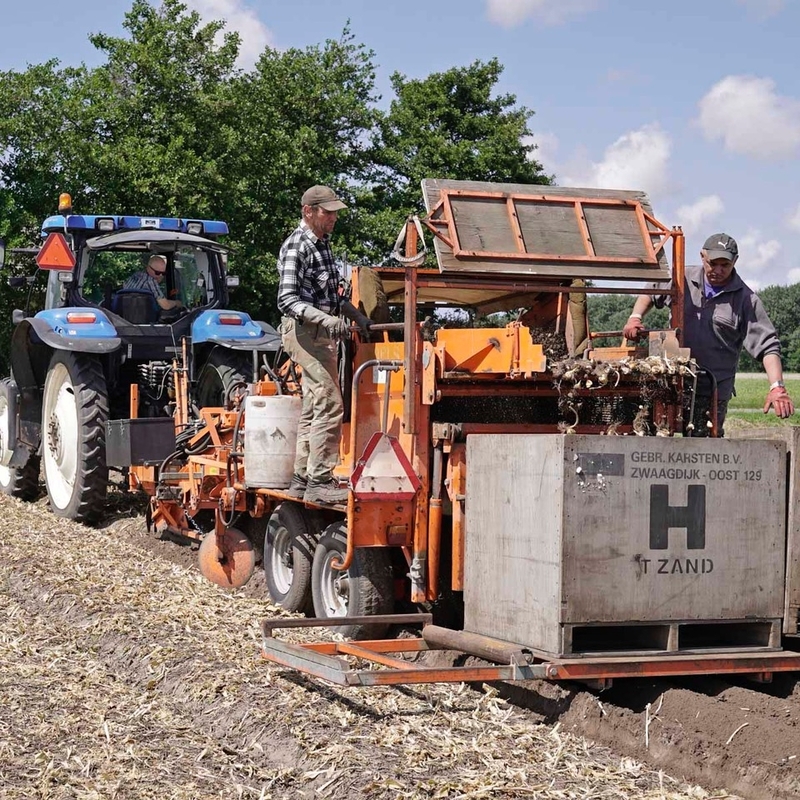 A tense time for tulip growers because their harvest expectations for the year aren’t very high. 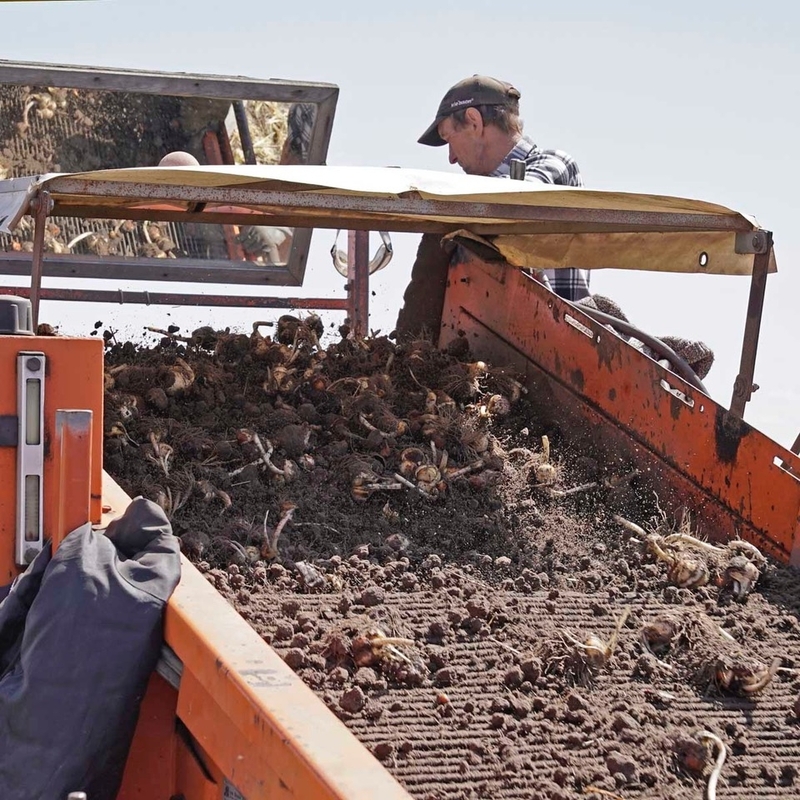 When I asked them what they thought of this year’s tulip bulb harvest they answered: “they won’t pile out of the basket. 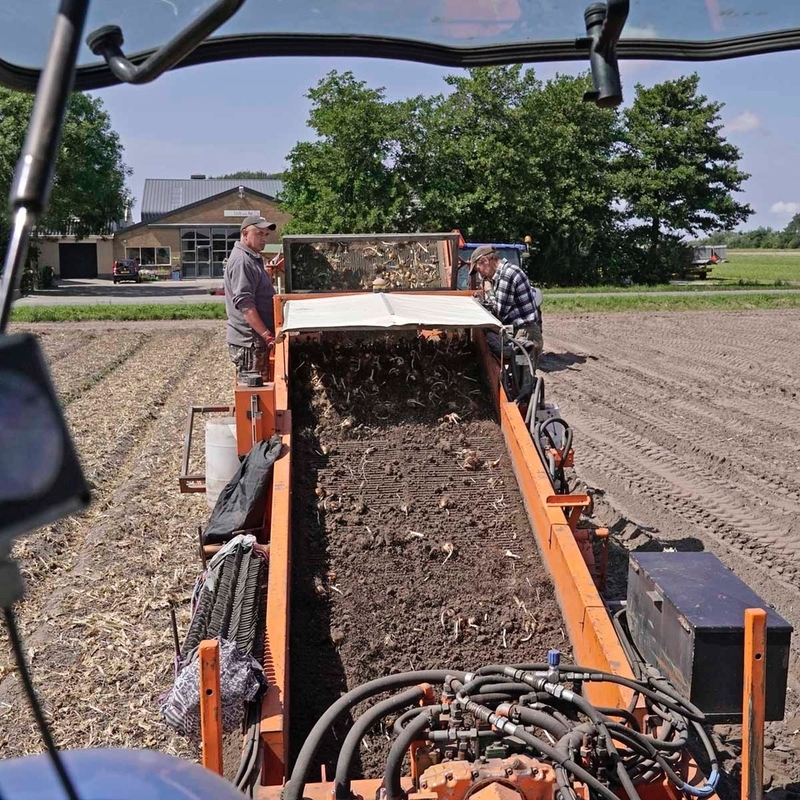 “Piling out of the basket” is an old, Dutch, bulb farmers’ saying which dates back to the time when flower bulbs where harvested in bulb baskets. 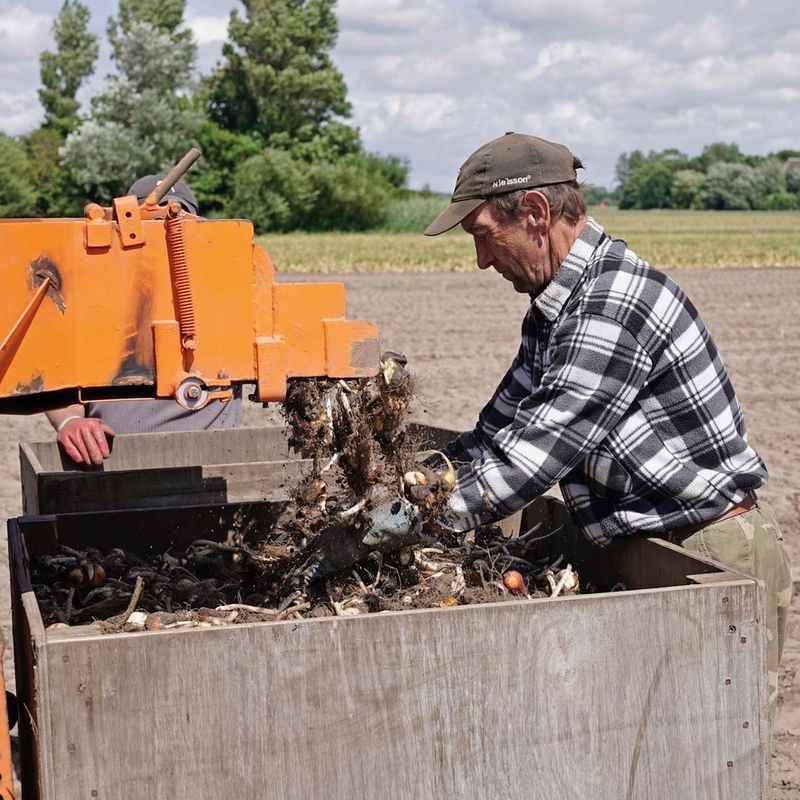 If the bulbs pile out of the basket that means that the harvest is good. Anyways, back to today, I myself don’t think this year’s harvest will be great either. The weather has been too extreme. 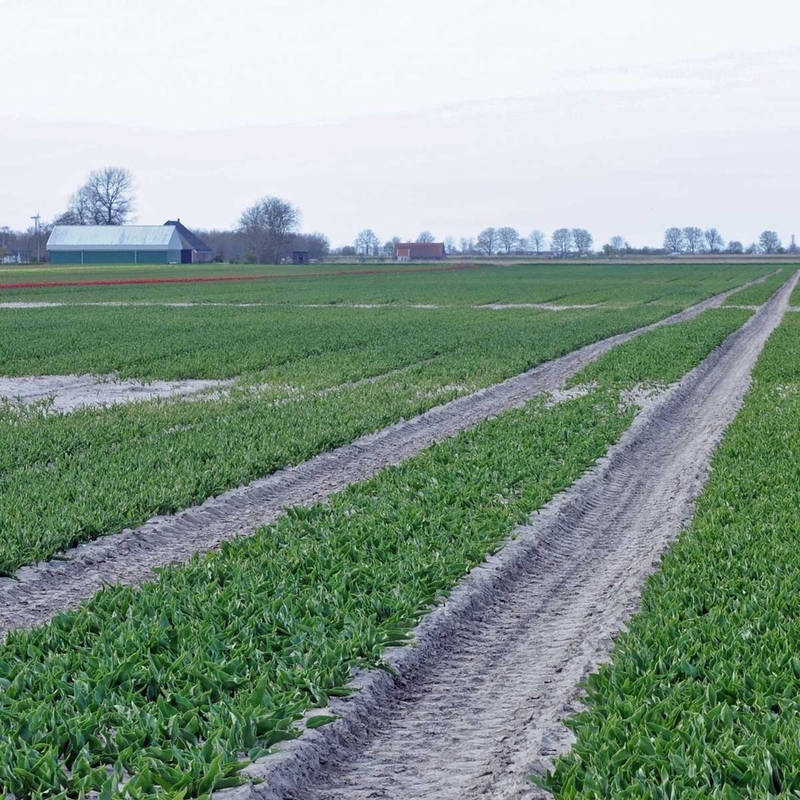 Autumn was wetter than usual, which led to water damage on various fields. In some places of the farmlands the bulbs even drowned. Damage like this often leaves the surviving bulbs in a not so great condition also. The first half of march, we were surprised by a sharp frost. However, the tulip bulbs can handle a little frost, it does get risky when it freezes so hard that you can ice skate. Even a tulip, just beginning to grow above the ground, is affected by that. On top of that, May, the growing month, the month in which the tulip’s bulb growth has to happen, had a lot of hot days. This too is bad for bulb growth. 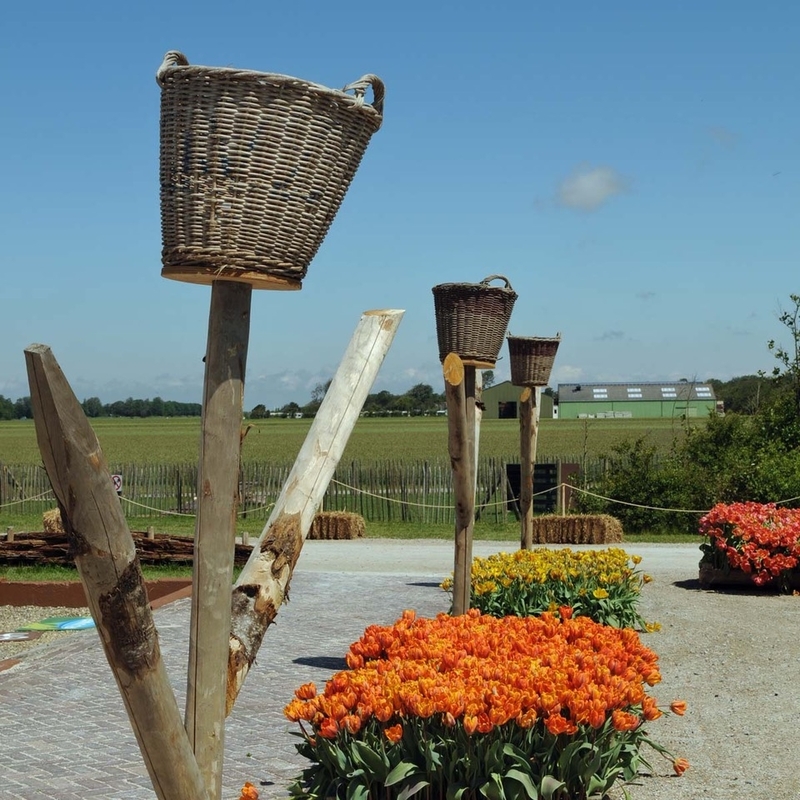 The tulips where panting on the fields, needing al their energy to survive. As a result, the bulb growth fell behind. The tulips also died a week earlier than usual because of these hot days and, needless to say, this wasn’t good for bulb growth either. In conclusion, the circumstances this year where far from perfect for a good harvest. 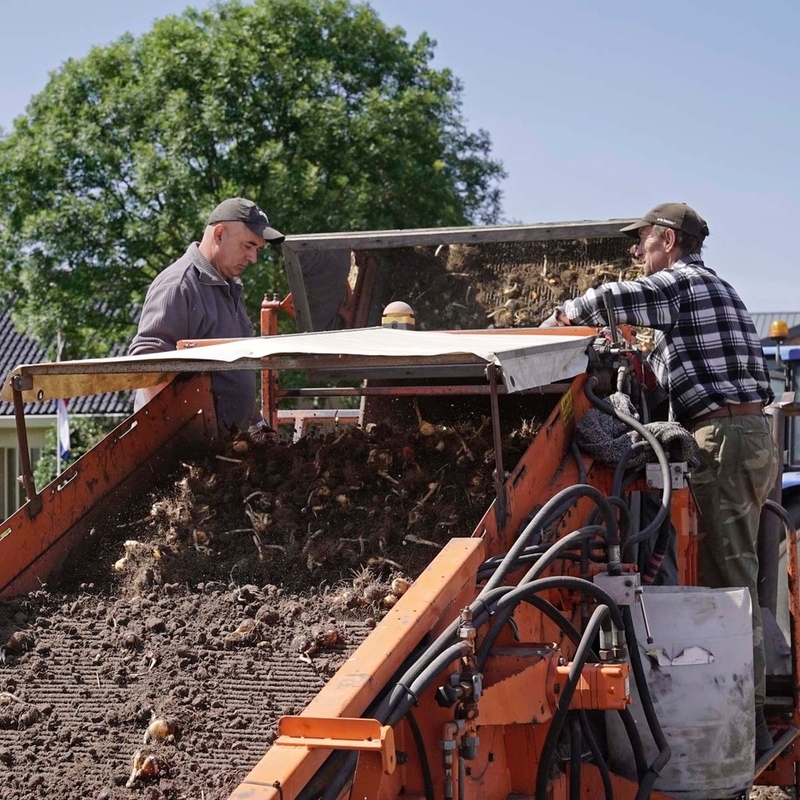 The Tulip growers their biggest concern at the moment is whether the bulb harvest will be better or worse than expected. I’m not saying you should buy flower bulbs for your garden right this second, but it would be smart not to wait too long. The flower bulbs might just run out before the end of autumn.